Courtney Garrett joined Summit Medical Group in February 2015. She is excited to live back in Knoxville after spending the last five years in Nashville working with hematology and oncology patients at Vanderbilt. She completed her Bachelor’s degree of Nursing at the University of Tennessee. 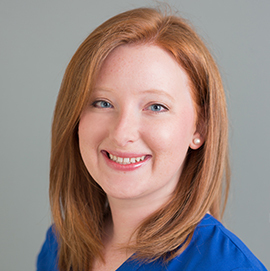 Courtney earned her Master’s degree as a Family Nurse Practitioner from Vanderbilt University. Courtney is originally from Kings port, TN , but has also had the opportunity to live in Europe, Mexico, and Florida. She is married to her husband Justin who works in Sweetwater, TN .